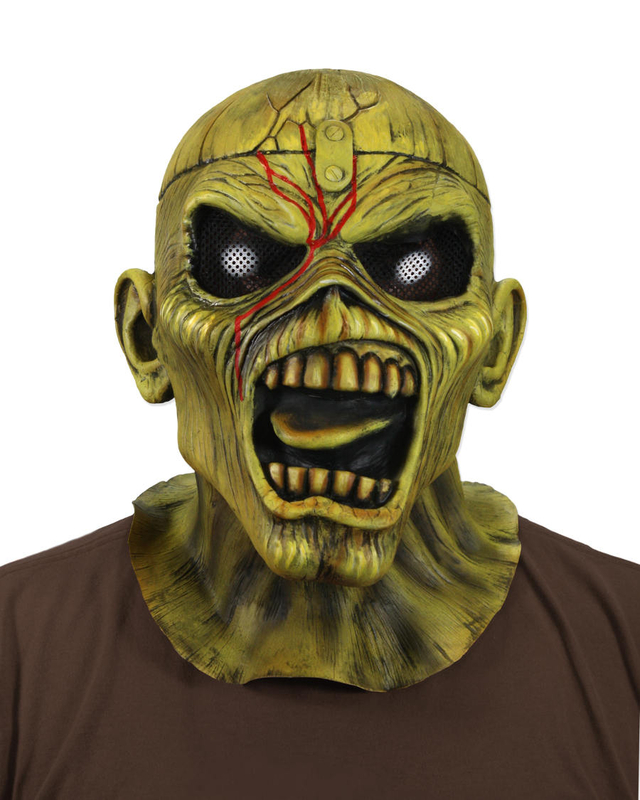 This mind-blowing mask lets you become Iron Maiden’s gruesome mascot, Eddie! Based on the cover art for the classic Piece of Mind album, this rubber latex Eddie mask has a detailed sculpt that captures his terrifying expression. Great for Halloween, your next metal concert, or for display in your home. One size fits most. Ages 14+.